This section is an ongoing collection of art techniques and resources that I discover as I’m exploring. This page is an evolving collection of the most useful self teaching resources for artists that I have discovered on my travels. Inherited a Wacom Intuos3 graphics tablet but you don’t have the installation CD? Click on the heading above for some assistance. For this painting I made more use of the Paths Tool in Gimp to create selection areas which controlled my painting. This is the process I followed to paint the above picture in Gimp. This is a method for applying a patterned texture to an object and having only selected areas emit light. Stumbled across an old Wacom Intuos3 but don’t have the installation CD? This article is for you. 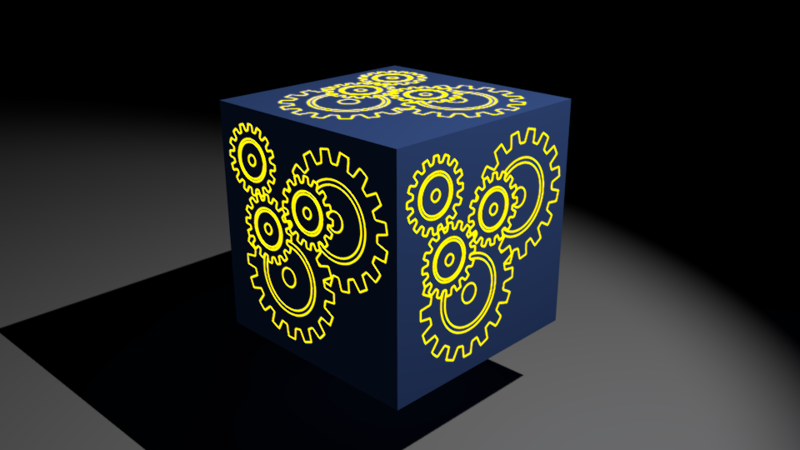 Need a quick and easy way of generating a cog wheel pattern? Here’s a technique that may help you.